Asthma is a chronic airway inflammation characterized by intense eosinophil, mast cell, and lymphocyte infiltration, mucus hyper-production, and airway hyper-responsiveness. Asthma symptoms develop when allergens activate antigen-specific Th cells to produce Th-2 cytokines, such as IL-4, IL-5, and IL-13. The immune response during asthma is well preserved between mice and humans. In human asthma, eosinophils and lymphocytes are found to infiltrate the bronchial mucosa. Increased mucus secretion and production of Th2 associated cytokines such as IL-4, IL-5 and IL-13 are also found. 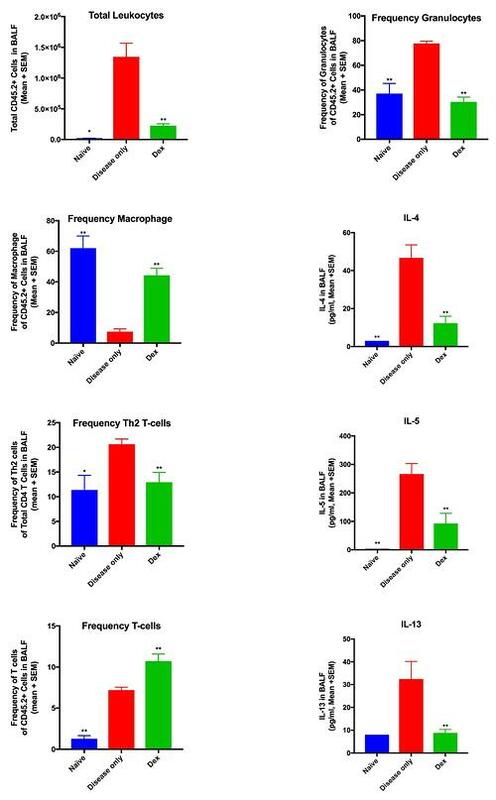 IL-4 induces differentiation of CD4 T cells into Th2 cells, induces the proliferation of activated B cells and is the major cytokine involved in B cell class switching to IgE (the antibody isotype most associated with human asthma). IL-5 is involved in eosinophil activation and also facilitates B cell growth and antibody pro- duction. The activities of IL-13 and IL-4 show a high level of overlap, although it is thought that IL-4 acts primarily in the initial sensitisation, with IL-13 more important during secondary exposure to the allergen. In addition to inducing IgE production, IL-13 can induce AHR, goblet cell metaplasia and air- way glycoprotein hypersecretion, which all contribute to airway obstruction. 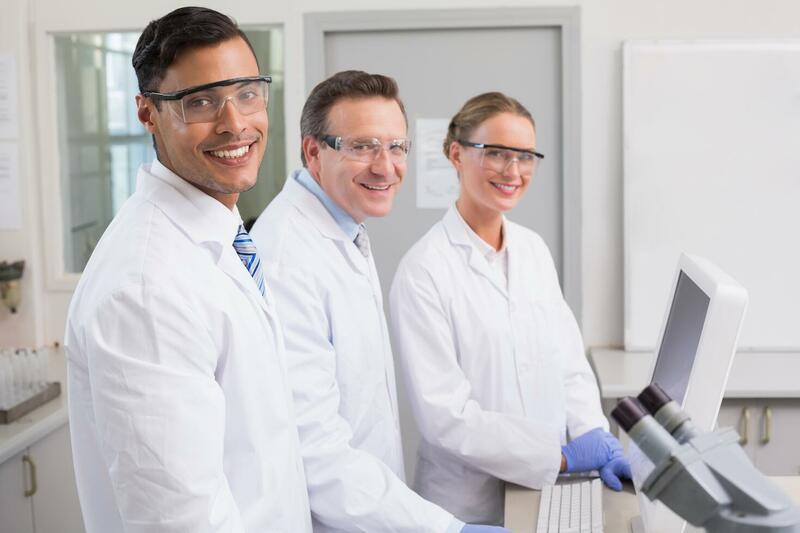 Mast cells are also central to the development of asthma due to their ability to release an array of preformed and newly synthe- sized inflammatory mediators such as cytokines, leukotrienes and prostaglandins. Mast cells are also thought to be involved in the tissue remodelling that occurs later in asthma. While we know many factors and events that play an important role in the initiation, progression and persistence of allergic asthma, there is still a lot to be understood about the immunoregulatory mechanisms. 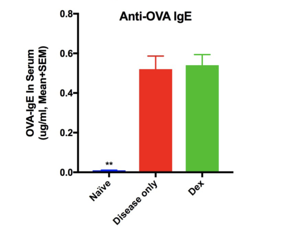 The murine OVA-induced asthma model is a widely used model that results in the characteristic features of asthma allowing the study and assessment of novel treatments.